Modular structures and lose components designed to suit the Lean manufacturing philosophy. The INDEVA Lean System® comprises a wide range of components including abrasion resistant plastic-coated steel tubes, steel joints, roller tracks and accessories. Large manufacturing companies worldwide in the Automotive, Aerospace, Mechanical, Electromechanics and Fashion Industries repeatedly choose the INDEVA® Industrial Manipulators, the INDEVA®AGVs and the INDEVA®Lean System Solutions, because we provide our customers with expert, dedicated attention to their requirements from concept to commissioning and beyond. The widest range on the market comprising both pneumatic and electronic manipulators. The INtelligent DEVices for hAndling or INDEVAs feature advanced technology that distinguish them from traditional industrial manipulators, and provide a step forward towards improved productivity, safety and ergonomics. Thanks to intelligent electronic control, an INDEVA® is faster, more reactive and precise, to the point that it can truly be considered a powerful ‘human extender’. The INDEVA® Automatic Guided vehicles (AGVs) are designed by INDEVA® R&D personnel with the cooperation of research institution and universities for the most advanced control techniques. 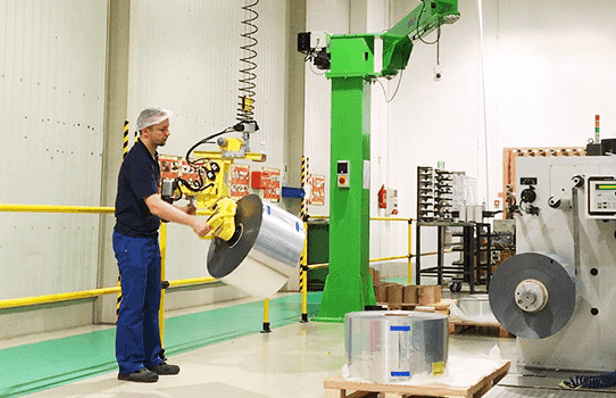 Scaglia Indeva is committed to continuously update its AGV’s software and features to ensure alignment to the technology edge. 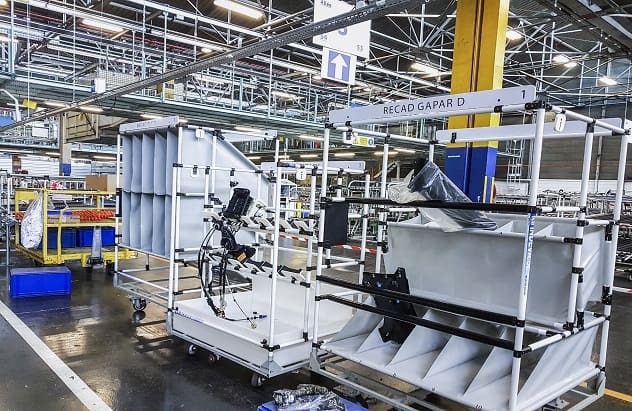 Since the late 1990’s Scaglia Indeva S.p.A. has been supplying modular structures and lose components designed to suit the Lean manufacturing philosophy. The INDEVA Lean System® comprises a wide range of components that enables you to design and build a variety of structures to suit any need within the manufacturing process. Scaglia Indeva has been designing and manufacturing industrial manipulators since 1970. Today we are the world leader in supplying state of the art internal material handling and intralogistics solutions. Manual material handling (MMH) work contributes to a large percentage of musculoskeletal disorders reported annually in Europe and in the United States. Musculoskeletal disordersoften involve strains and sprains to the lower back, shoulders, and upper limbs. 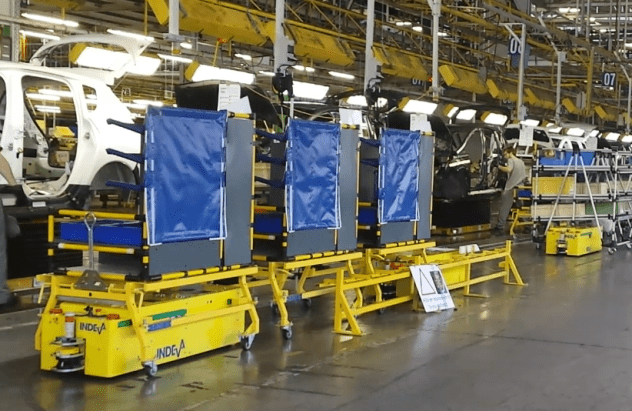 Many are the applications, uses and relative advantages of industrial manipulators interconnected with your IT system and /or other machines in your assembly line or in your warehouse.